Flooring, Tiles, and Plumbing Supplies Galore! In 1973, after returning home from tour with the U.S. Navy, Chuck Foley needed to decide what to do next. It was then he began his lifelong career in the home improvement sector. After years of working out of his truck and being referred to by many as “the tile man”, he opened his first store, “Foley Floor & Tile” on Powder Mill Rd. in Maynard, MA. Two years later, in 1984, Foley's was ready to grow again and Chuck purchased the building at 161 Main St. Maynard MA which has become their home. It was then that he acquired "The Faucetorium" branching out to offer plumbing services and supplies. 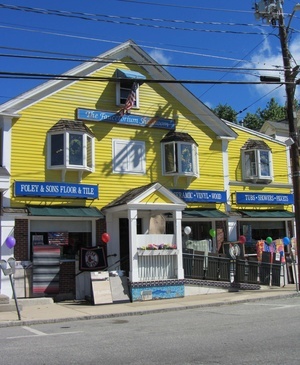 The bright yellow building that sits across from The Mill Pond in downtown Maynard is the home of Foley & Sons Floor & Tile & The Faucetorium offering a wide range of services all the way from a soap dish to a complete remodel. Foley’s is a family operated business that is well known for their personal service and friendly, knowledgeable staff. As young children, both Chuck’s sons began their careers before branching out on their own, Charlie with “Chuck’s Home Services”, and Jason with “Proficient Bath Renovations”. His sisters run the day-to-day operations for the Floor & Tile division while upstairs The Faucetorium is run by two other amazing women. 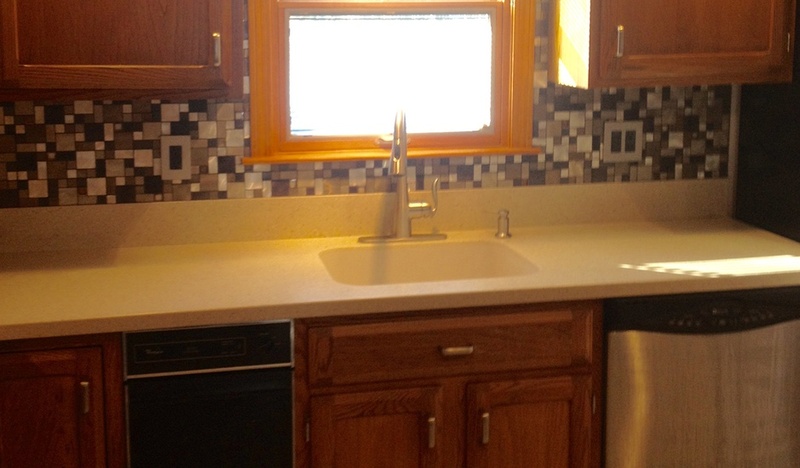 Additionally, both of Chuck’s nephews work in the field alongside Chuck on all in-home projects. They don’t subscribe to the belief that any job is too big or too small. 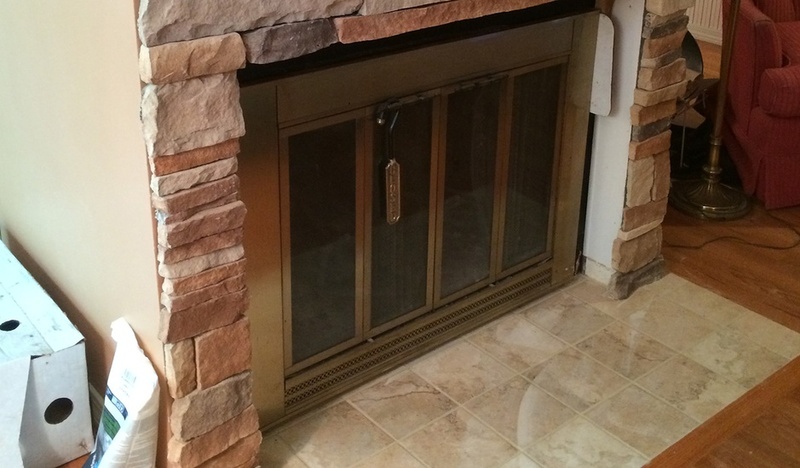 With their vast selection and in-store stock for both contractors, to the do-it-yourselfer, it is rare you cannot find what you are looking for. 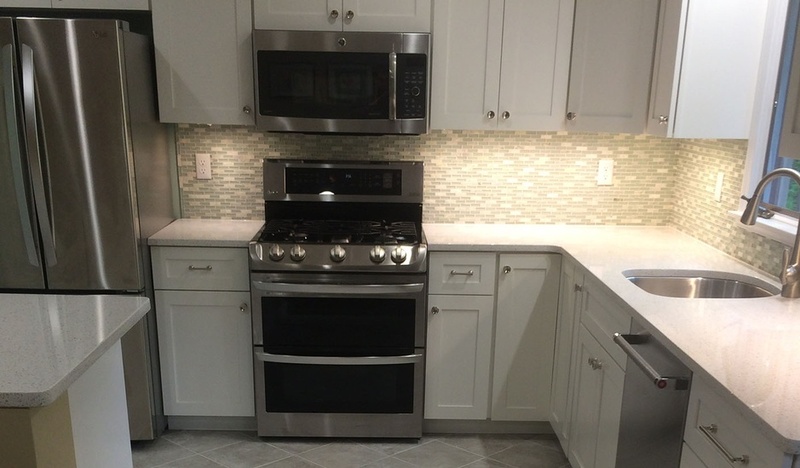 The in-store experts can help you arrange your remodel, or assist you in completing any DIY renovation. You will always find the staff at Foley’s willing to go above and beyond to help. If they cannot provide what you need, they will assist you in finding out who can. It isn’t “the extra mile” because it is always their practice. Military, veterans, firefighters, and police officers can take advantage of the 5% discounts we offer on all building materials. Customers making a payment by check also receive a 5% discount. We guarantee our work for two years! © 2019, Foley & Son's Floor & Tile & The Faucetorium. All Rights Reserved.